Product prices and availability are accurate as of 2019-04-24 22:35:35 EDT and are subject to change. Any price and availability information displayed on http://www.amazon.com/ at the time of purchase will apply to the purchase of this product. Vangeliss name and unique sound are synonymous with some of the most iconic films of the past 35 years. Over his 50-year career hes achieved countless multi-platinum album sales and Number Ones. 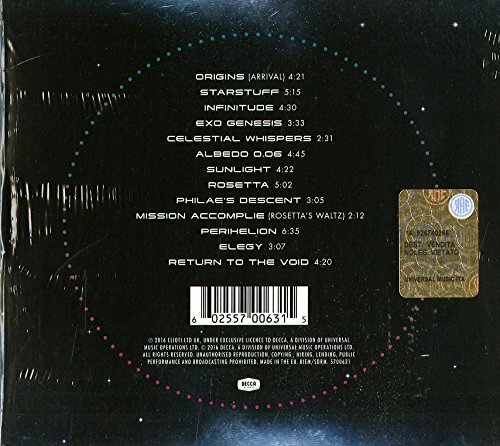 NOW VANGELIS IS BACK WITH A BRAND NEW STUDIO ALBUM! The iconic composer of Chariots of Fire and Blade Runner and pioneer of electronic music, Vangelis returns with a brand new album, Rosetta, devoted to music inspired by his long-held passion for space, as well as marking 50 years since he first signed to Decca. 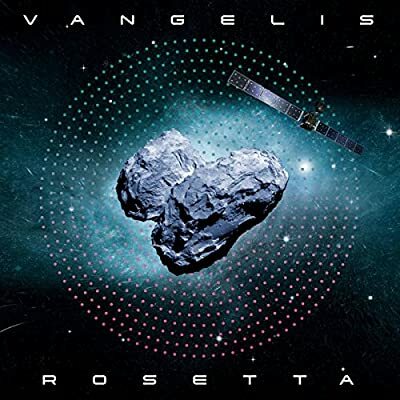 Vangelis was inspired by the Rosetta Mission, an extraordinary and ground-breaking project by the European Space Agency [ESA] to land a probe on a comet for the first time in history, and he has composed this suite of inter-connected music especially for ESA. The album release marks the culmination of the 12-year mission in September 2016 and accompanies some incredible footage captured by the probe. The music of Vangelis is often linked to themes of science, history and exploration, and he is best known for his Academy Award winning score for the film Chariots of Fire as well as for scores for the films Antarctica, Blade Runner, 1492: Conquest of Paradise and Alexander, as well as the use of his music in the documentary series Cosmos, by Carl Sagan. Vangelis says: Mythology, science and space exploration are subjects that have fascinated me since my early childhood. And they were always connected somehow with the music I write. To Vangelis, music is a sacred, basic force of the universe, its purpose to elevate, inspire and to heal humankind.